If You Enjoyed This Content, Please Share it! 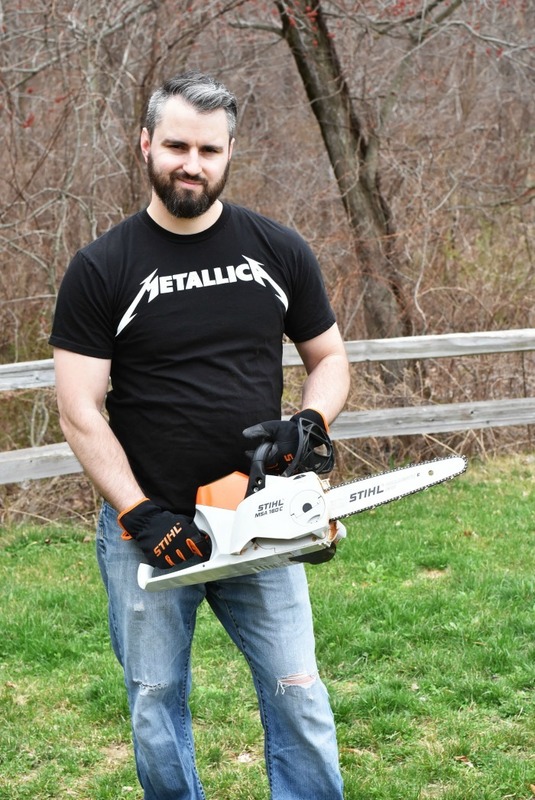 Are you looking for a new chainsaw this season for around the yard or homestead? As a homeowner you might need to use a chainsaw once or twice a season. Do you really want to fuss with 2-cycle fuel, cold starts, and throwing out a shoulder just to cut a few tree limbs? If not, one of Stihl’s battery powered chainsaws is your best bet! Battery powered tools sometimes get a bad rep because of low power and short run times. Thankfully, Stihl didn’t let that stop them from making some of the best battery powered yard tools I’ve ever used. For this review, I’m showing the Stihl MSA 160 C-BQ. This saw definitely proved itself through the challenges I put it through. Let’s start by listing the MSA 160 C-BQ’s specs. Weight of Powerhead (body): 10.6 lbs (4.8 kg) with AP 300 battery. Stihl recommends the AP 300 Lithium-Ion battery for the MSA 160 C-BQ because it’s a good balance of value and performance. It’s the most powerful handheld battery they offer and it weighs only 3.8 lbs. There are larger capacity AP-Series batteries that will buy you longer run times, but they’re more expensive and intended for professional companies. The 50 minute run time is more than sufficient for most homeowners and intermediate users. DSRP (Dealer Suggested Retail Price): $179.99. You can find specifications for other Stihl batteries on their website. Investing in a high quality Lithium-Ion Battery is a smart investment for future expansion of your Stihl battery powered tools collection. 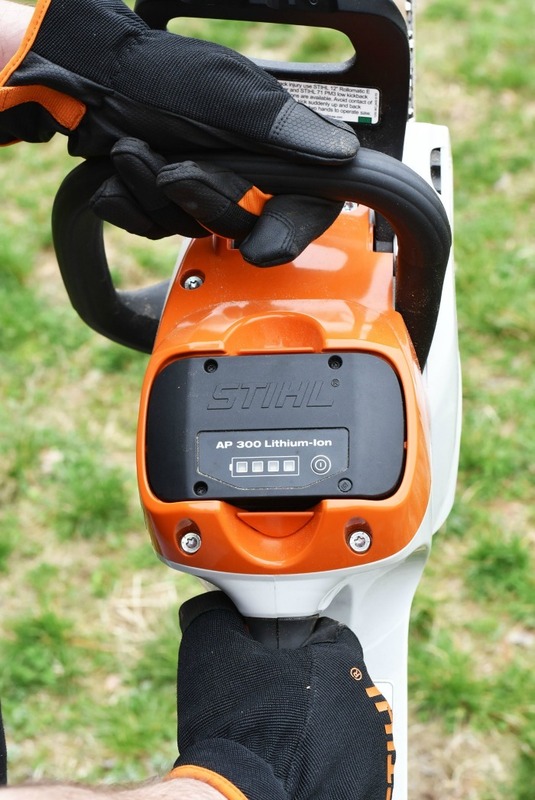 If you decide to purchase another battery powered tool from Stihl like a string trimmer or blower, the high capacity AP 300 battery will also work in those tools and serve you better with longer run times. The Stihl MSA 160 C-BQ is equipped with features that make it a perfect choice for homeowners looking to cut a few limbs here an there. For starters, it’s battery powered, so it has zero emissions. Being battery powered means you don’t need to worry about mixing 2-cycle engine fuel. 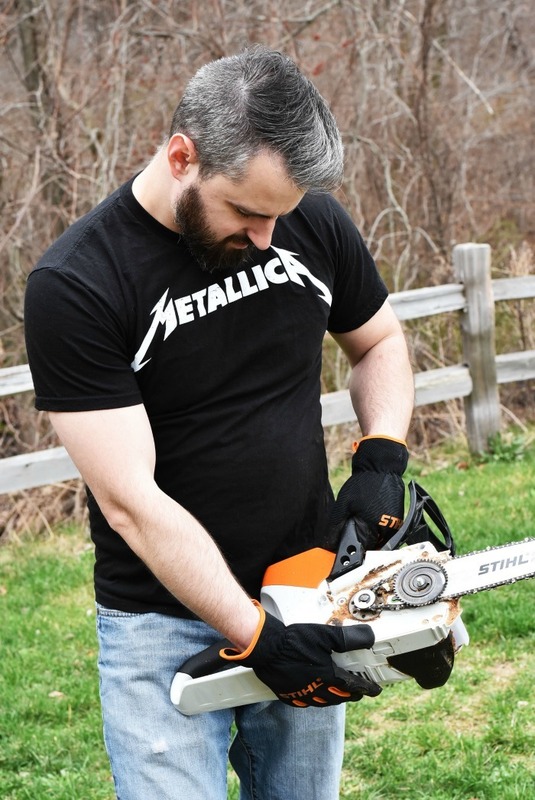 Plus, you can forget about cold-starts, clogged carburetors, and broken pull strings (that’s what happened to my last chainsaw)! All you need to do is insert the battery, release the chain brake, and pull the trigger to start cutting. 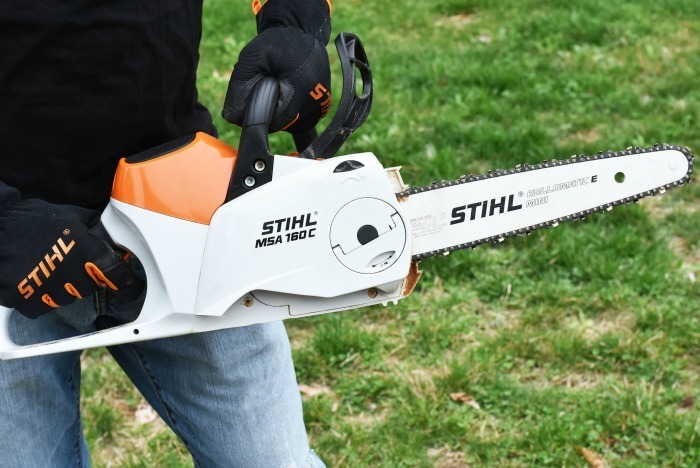 The Stihl Battery Powered MSA 160 C-BQ Chainsaw cuts through logs and limbs up to 12″ diameter like butter! I’m not kidding! I used this battery chainsaw to cut some slabs from a newly felled Cherry tree. My Cherry logs varied in length from 2ft to 4ft. I stood them up on their ends and took a full depth of cut through the logs to form my slabs. 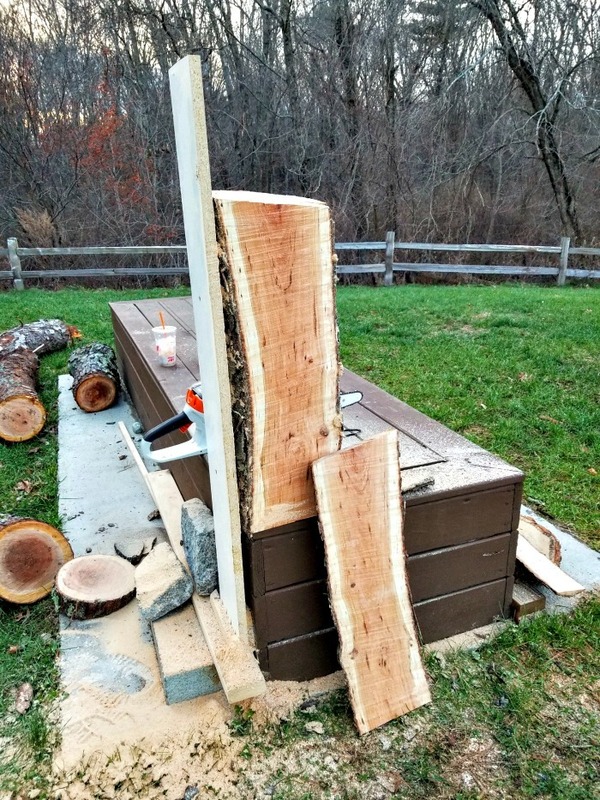 In fact, some of my logs were larger than 12″ diameter, so I had to take a cut from both sides. Even with a fully embedded bar into the logs, the saw maintains a consistent cutting speed and feed rate. Keep in mind, this example is of a newly felled tree, so it’s “green wood”. Green wood means that the wood is freshly cut, dense and full of moisture. It is heavier and harder to cut than wood that is already dried. 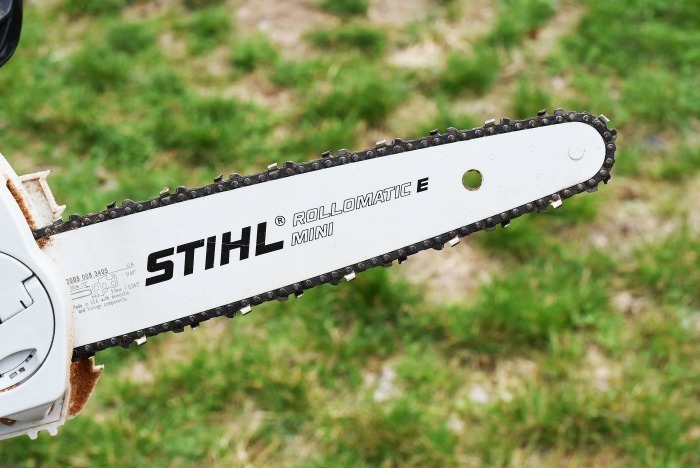 In my opinion, the 1/4″ Oilomatic Stihl Picco chain is responsible for a good portion of the winning performance of this chainsaw. It has been engineered with a narrow kerf and sharp cutting edges ground to a perfect rake angle. As a result, this chain efficiently cuts and clears saw dust from the cutting surface and has never kicked-back on me. The 1/4″ PICCO saw chain has a gauge of 0.043″. Cutting time varies depending on how intensely the saw is used. At a fully burdened cutting rate, I was able to cut for around 25 minutes (using an AP 300 battery). This equalled 4 slabs plus a starting side (the first side of the log that is all bark). Remember, I had to cut from 2-sides for a couple of my slabs, so I did achieve a reasonable amount of cutting. For medium to low duty cutting, the battery charge should last much longer. I haven’t killed the battery under normal use. You should be able to perform all your trimming and pruning on a single charge (for an average size yard) and have juice left-over. Like all Stihl products, their battery powered chainsaws are made top notch. The powerhead is constructed of both plastic and metal components. All removable parts assemble together easily and securely. After repeated use, the saw heats up but not by an excessive amount. This is normal for battery powered devices in general. The overall build quality of this battery powered chainsaw is excellent. The Stihl MSA 160 C-BQ Battery Powered Chainsaw impressed me with it’s smooth cutting, long lasting power. The combination of the thin kerf 1/4″ PICCO saw chain and quality high-torque electric motor, make this chainsaw the perfect tool to have around the homestead. I have a good feeling this will be my go-to chainsaw for many years to come. Be sure to check out the list of 55 Tools Every Homeowner Should Own for more cool tools. Receive the FREE 55 Tools Every Homeowner Should Own Checklist! Let's take your skills to the next level! Welcome to It's a Husband Thing. I'm Jared, an Engineer and avid DIY'er. My mission is to inspire, educate, and entertain my fellow Man.